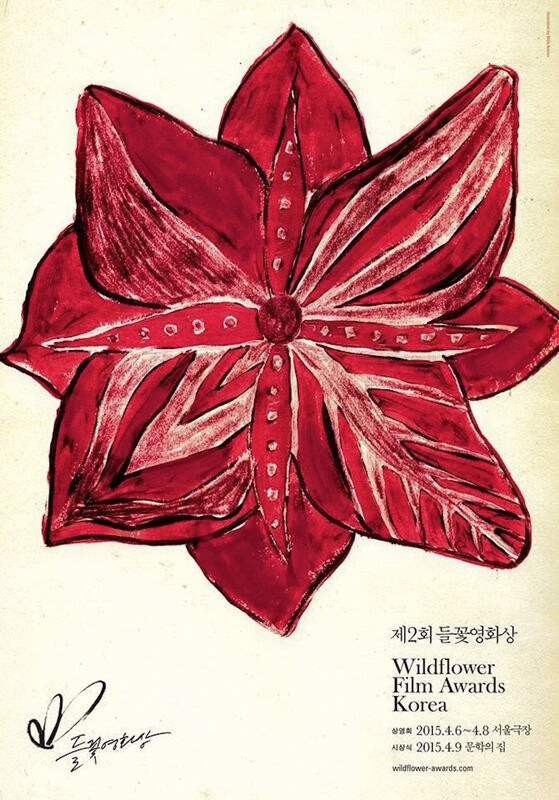 The Wildflower Film Awards has unveiled the nominations for its second edition, with the prizes to be bestowed at a ceremony on April 9th in central Seoul. The organisation is dedicated to celebrating the achievements of Korean independent cinema, as well as films that have a budget of less than 1 billion won. With the vertically-integrated nature of the commercial industry in Korea such films often have an arduous production and a battle to secure distribution, despite the incredible creativity and insight contained within. The nominations were selected by a panel of film professionals and cineastes, headed by Korean cinema specialist director Darcy Paquet, a figure renowned for his contributions in promoting films from the region. 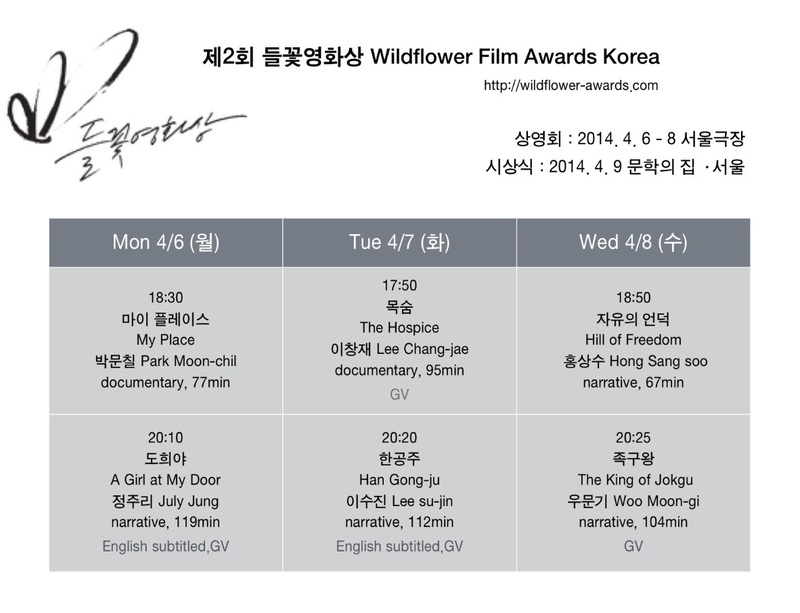 The committee – which Hanguk Yeonghwa is proud to be a part of – chose the finalists from over 60 features and almost 30 documentaries released throughout 2014. Out of the 21 films nominated July Jung’s A Girl at My Door leads with seven nods, while Lee Su-jin’s Han Gong-ju and Woo Moon-gi’s The King of Jokgu have five. Lee Yong-seung’s 10 Minutes, Zhang Lu’s Gyeongju, and Hong Sang-soo’s Hill of Freedom have four nominations each, respectively. In the build-up to the awards ceremony, from April 6th~9th screenings of six of the nominees will occur at Seoul Theater, accompanied by Q&A sessions with the filmmakers involved. To visit the official Wildflower Film Awards website, please click here.